Which is the country you should immigrate to for the perfect work-life balance? When it comes migrating to a new country, the people will have different choices and opinions. There are people who would prefer the countries with high income jobs, high living standard, exceptional night life, etc. Which is the country you should move to for the perfect work life balance? There are very few countries in the world who consider this aspect of life right on top of their priority list. Well, New Zealand is obviously one among the countries that consider this a priority and hence, encourages the perfect balance between work and life. New Zealand is considered as the most beautiful, peaceful, clean and safe country to live and raise family. New Zealand is known for creating just perfect work-life balance. It ranks top on many international surveys for quality of life. The people in NZ give utmost important to their career and life and believe in hard work. However, at the same time they also believe in balancing a good day of hard work with the recreation activities or the quality time spend with the family. NZ was recently ranked 2nd in the work-life balance survey of HSBC. The immigrants who have spend few years in NZ admire the beauty of live, friendliness of people, cultural diversity, relaxed pace of life, fun and recreation, outdoor life, and just perfect work-life balance in this part of the world. In New Zealand, you get the world class cities and advanced infrastructure with less crowd, low crime rate, relaxed workplaces, and stress free life. The employees in NZ gets the 11 public holidays along with the 20 days leaves annually to soak in the landscape beauty, enjoy the outdoor adventure, go for recreation activities, or just take a break from routine work and relax at home. Apart from this less pollution, less traffic, easy commuting, less crowded cities and towns, etc. 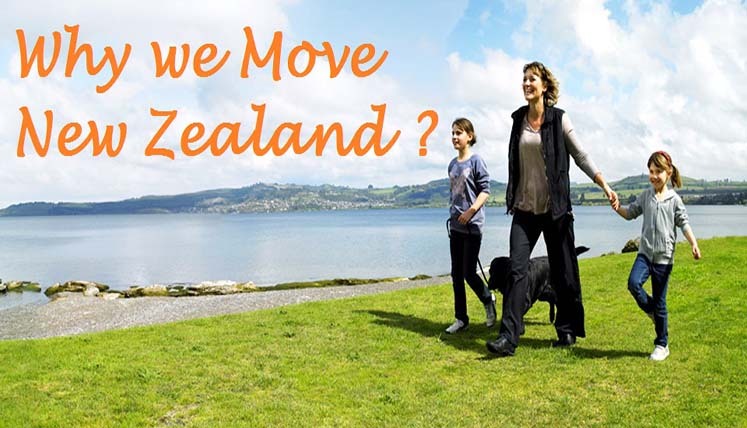 enhance the quality of life of the people, who chose to live in New Zealand. How to apply for PR visa and immigrate to New Zealand? If you wish to move to this most beautiful and peaceful country, i.e. New Zealand, you can choose among the various permanent visas to apply for. To get the best assistance and support in this regard, you may get in touch with the registered migration experts at Visas Avenue immigration. The Visas Avenue immigration is the top immigration advisory company in India. You may contact the Visas Avenue experts on contact nos. 011-48447777 (Delhi) or 080-46668222 (Bangalore) or 040-42467777(Hyderabad). Apart from this, you may also send your queries and questions with regard to immigration on Visas Avenue email id- info@visasavenue.com. How to know if your occupation has demand in Australia? What is the process to apply?